Why Study Slavic and East European Languages? The AATSEEL Program Committee invites proposals for panel stream topics for the 2017 conference in San Francisco, CA. These streams will promote greater cohesion among conference panels and foster a broader dialogue throughout the conference. The result can be a series of mini-conferences within the framework of our larger conference. All conference attendees are welcome to attend stream panels, but participants in a stream are strongly encouraged to attend all of the panels in their stream. Stream topic proposals should consist of a 200-word abstract describing the stream as a whole and a list of 4-6 potential participants (you need not yet have firm commitments from them) and should indicate whether you prefer a 2 or 3 panel stream. Stream topic proposals should be sent via email to the Program Committee Chair, Jon Stone (jon.stone@fandm.edu) by March 1, 2016. You will be notified of the committee’s decision by March 15. We anticipate having 7-10 streams in 2017. Individual paper proposals as well as pre-formed panel and roundtable proposals will continue to be accepted, as usual, exclusively through the AATSEEL website (the April 15 and July 1 deadlines remain the same). What is a panel stream? 2-3 thematically connected panels or roundtables (with 8-12 total participants in the stream). They will be listed in the conference program with the same panel title (subtitles can be used to distinguish the focus of the individual panels) and be scheduled during the first morning session each day of the conference. What topics are eligible for panel streams? Any area that is typically part of the AATSEEL conference can be proposed as a stream topic (eg. second language acquisition and pedagogy, literature, film, linguistics, culture, media studies, theory, etc.). Keep in mind that the stream topic should be capacious enough to suit 10-12 participants’ presentations. The Program Committee will work to ensure a diverse blend of stream topics so we encourage all AATSEEL members to consider proposing a topic. What is the role of the stream organizer? 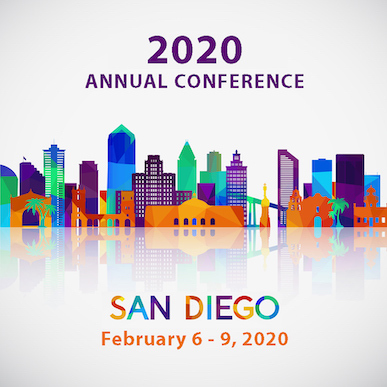 The organizer(s) must submit a topic proposal, help recruit participants, serve as a reviewer of individual abstracts submitted for the stream, and help to arrange the panel format and organization. How can the panels be organized? We encourage diversity and flexibility in constructing the panels. They can be structured as traditional paper panels or roundtables or they can diverge from those formats. Possible alternatives include structuring the stream as a response to a single scholarly work or devoting one stream panel to a single “keynote” speaker with the other panels devoted to responses to the speaker. What will the makeup of panel participants be? The streams must be composed of a variety of generations of scholars (ie. graduate students, contingent faculty, K-12 teachers, junior faculty, advanced scholars). The stream organizer may invite up to half of the total stream participants. The remainder of the stream will consist of participants who submit abstracts to the Program Committee.